We’ve come a long way since the days I started this blog. At that point, we were scrimping to live on the $1,900 leftover each month after rent and Tim’s high-risk insurance. Oh, and not just live on it, but actually pay down medical and student loan debt. Nowadays, we make a lot more than that. I’m still working my way up to disclosing how much. I know I did open up about our bank account balances last year, but this hurdle is one I’m not able to leap just yet. Point being, there’s a lot more. And the extra money has caused lifestyle inflation. 1. We have water delivery. Which rocketed painfully high once Tim stopped drinking soda. We go through about 10 five-gallon jugs a month. We tried filling our own, but depression/fatigue/pain and a nearly superhuman ability to procrastinate made it hard for us to stay on top of filling them. 2. We gave up on cooking and couponing. Major frugal no-no. But after tons of attempts, I’m no longer willing to put myself through the cycle of try/fail/beat myself up. Instead, I try to make our convenience food as cheap as possible. I have two $1 protein bars, two slices of peanut butter toast and a $2 Healthy Choice meal on most days. Not great, but not terrible. Tim tries to munch on the snacks we keep around and sometimes gets fast food or pizza. 3. We pay for yard service (when I remember to book it). My fatigue and Tim’s severe grass allergy won’t let us do it ourselves. 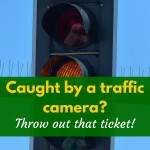 But we don’t want to get a ticket. 4. We pay people for repairs instead of DIYing it. In the comments, you guys have been quick (and right) to point out that saving money isn’t worth ruining my health. 5. We pay $100 a month for Internet. I need a business line, plus 99% of our entertainment is online. So we pay through the nose. I know that these are the right choices when taken in context. But a) I still have to watch the money fly away and b) people have to know about the context. It’s the same problem as my going to my 20th reunion. So instead of accepting that we have different needs, I tend to view the bills as frugal fails. Well, they’re often conscious choices, so I guess they’re exceptions to our frugality. But they feel like failures. 1. Fun money. We give ourselves a very generous amount. We could cut that down to get to our savings goal faster, but I don’t want to. I like having a decent amount of discretionary money. And it’s been great for our relationship for Tim to be able to get something without asking permission. 2. We have a date night. I use a coupon for a free appetizer, which substitutes for my meal. But we love our waitress, so we tip generously. It ends up being $30-35 each week, or $120-140 a month. 3. We’ll be getting a dog next year. Tim really wants a puppy, preferably a lab. Which means no rescue animal (almost everything in the pound down here is part chihuahua) and paying a breeder. We’re saving up a little each month. But once we have the dog, there’ll be costs for food, supplies and any illnesses that crop up. That said, this something I’ve been promising Tim for years. Now that we just have one cat, it’s time. We stay home most nights and weekends. We recently nixed the DVD option on Netflix. We ditched Dish for Hulu. We switched to Ooma, which means a $3.85 bill. We only see movies with rewards program tickets, which also cover a popcorn and drinks. I use my beloved Swagbucks, which also helps us save our savings. I use cash back shopping sites like Mr. Rebates, Ebates and Extrabux. I do my best not to buy things that aren’t on sale… with mixed results. Since we’re home all day, we don’t have cell phones. It’s just that those feel natural to me. They don’t stand out in my mind the way the “failures” do. So it seems like we’re making a lot of mistakes. I guess I just have to remember that we’re doing the best we can — even if that means a lot of missed savings opportunities. Because sometimes bad just has to be good enough. 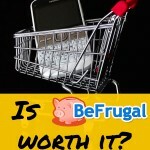 What things make you feel like a frugal failure? What things seem like luxuries but are actually necessary? Our biggest ongoing frugal fail is that only one of us regularly brings lunches to work. We’ve tried it. For many practical reasons it just doesn’t really work. Is buying lunches more expensive? Yeah, but it works better in practice than the alternative. Yeah, it’s the same with us and cooking. If I thought it were tenable, I’d do it. But unfortunately, we live in reality. Reality tends to mean compromise. Please please PLEASE do not buy a dog from a breeder. There are thousands and thousands of dogs that need rescue. I can guarantee you can find the perfect dog for you on Petfinder. (I’ll even help search for you!) A puppy from a breeder will still need to be vaccinated, dewormed probably, spayed/neutered, etc. etc. etc. A rescue dog will generally be fully vaccinated, dewormed, spayed/neutered, microchipped, etc. The costs are so much less in the long run. And you are saving a life, and not contributing to a breeding cycle where they are most likely not treating the animals well, and only contributing to the number of animals in shelters being put down. Yeah, I’m not thrilled by the idea. I’ll definitely be checking adoption sites and Petfinder to see if we can luck into a puppy — one that isn’t part chihuahua. I’d prefer to adopt one rather than buy one because of the breeder issue. But Tim really wants a puppy so he can train it from scratch, which limits our options. I’ve promised him the dog he wants — within reason because pomskies are NOT in the budget — for years. However, I at least got him to agree that the second dog we get will be a rescue. And any future cats we get will be adults, no exceptions. Try Lab rescues on facebook. I follow Dachshund rescues. They do get older adult dogs, but they also get pups (they may get a pregnant female in). If one doesn’t have pups, they may be able to put a call out. Even if it’s not in your area. I’ve seen rescue “trains” move Doxies from Texas to the New England area through volunteers. And we had a local pound here in WV send a dog to Canada via airplane (money raised via gofundme). Yeah, the breed rescue groups can be great! Puppies are so cute, but they have a lot of energy. Is Tim up to taking the dog out for regular walks, run and play time, etc? Older and senior dogs don’t require as much exercise and are great for people who can’t keep up with the boundless energy of most puppies (especially a high energy breed). Tim had to give up too many dogs in his life (his parents gave away his dog while he was in college — and told him when they were pulling into the driveway). So nothing that requires giving away. One of the reasons I want to take some time, beyond saving up for the pup, is to make sure Tim is able to take the dog on walks regularly. I told him flat out that I can’t handle any more stuff at the moment. So he needs to be able to reliably walk the lil guy. I think more aquatic therapy will get him there. Maybe some cortisone shots too. You can find a dog you want and need at the SPCA! My daughter flew a corgi from WI to NY to give it a home. The did face time to meet him, saw him interact with children in the house and other dogs. He has been a great add to their family and he was 4 months old when they got him…shots and healthy. Yes the flight cost $186.00 but he was worth it! Tim definitely wants to meet the dog in person before adopting. But yes, once I’m convinced we’re ready for a puppy I will first do a lot of searches for adoptable puppies. And the dog after that will definitely be a rescue. That’s the deal because I hate that everyone wants a puppy/kitten and no one (well, not enough people) want the adults. The thing that makes me feel like a frugal failure is having maid service… Then I remember what the bathrooms looked like when I wasn’t able to clean them. We’ve cut back to one date night out a month, and that covers it. The other weeks, we make it a point to have dinner seperate from the other members of the house and watch a film from a streaming service. As for the dog, have you guys looked at Arizona Lab Rescue? No, I’ll be sure to do that. I’d love to find a rescue puppy. I hate that we’ll be getting a puppy — which is always in high demand — while adults wait and are maybe doomed to death. But this is his dog. I’ll do the best I can to find a puppy anywhere other than a breeder. And he’s agreed that the second dog we get will be an adult rescue. We’re debating getting another dog in the next few years (our very spoiled dog is currently 13, and he’s a giant breed), and we’ve decided to fill out the paperwork to participate in the DOD’s adoption program. Wow, I didn’t think most giant breeds made it to 13. I hope you find a great new pup at some point. My fail is also housekeeping. The place looks terrible if somebody else doesn’t do it. So I hire it done. It helps keep me sane and that is worth something. It’s tough to be frugal if you’re not sane. (Ask me how I know.) So it sounds like a good compromise to me. Organic groceries sometimes feel like a frugal fail to me. I know it’s better for me, and it tastes better. But it takes my monthly groceries bill from $120 (for the cheeeeaaaap stuff) to $240, and that feels so indulgent. On the water front, have you looked into adding a filter to your tap water? We installed a reverse osmosis system on our kitchen sink, and it’s pretty amazing. It was $150 for the system upfront, and we spend right at $100 a year for a replacement prefilter and postfilter and a membrane. I drink a little more than 50 gallons a month myself. I’m not sure how much you’re paying for water delivery, but it’s worth looking into. We’re two depression/chronic pain sufferers ourselves, so I can definitely relate on the procrastination. Luckily only needing to change the filters and membrane once a year helps! Arizona water is so gross that regular filters don’t work. I had a drink from some Brita water one day and nearly spit it out. Okay, maybe it wasn’t that bad, but I barely touched it. That said, the reverse osmosis idea is brilliant. (Sorry to any other readers who may have suggested this, and I never acted on it.) It’s the same process as the stuff you buy from the refilling machines down here. If the upfront costs are that low, I’d definitely give it a whirl! I have similar issues as those I’m seeing here. Most seeks I only cook once or twice since I work full time and have a long commute. I have found a few inexpensive take out options that work for us. My husband has to have cable tv and a decent amount of pocket money available. Other frugal fails are hiring yard service. 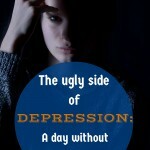 My husband is no longer able to do it and it was stressing him out. I will occasionally hire house cleaners too. I don’t always use coupons when I shop. You’ve got to choose a budget that works for your life. That’s what I try to do. I’m always impressed with anyone who comes home from a full day’s work and then cook (often immediately) a meal. And it sounds like a yard service was definitely necessary. As is, I’m sure, the occasional house cleaner. I’m still too cheap to admit we need that. So I just deal with the dirt. You’re not a frugal failure! You know where your money is going and you have thought about why you need or like to have those items. Conscious money spending is way better than most people in our country! One thing that you might want to look into to save yourself money is getting a Berkey water filtration system. We use it and it has been fantastic. We have the small unit and it keeps up really well for our family of four. 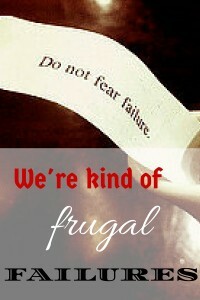 Yeah, I know we’re not really frugal failures. But it feels that way sometimes. I’ll look into Berkey, but I’m iffy about filters. The water here is just so chock full of chemicals. Yeah, this is something I struggle with. I want to be a person who cooks. I want to be a person who tackles DIY projects. But that’s not going to happen, and I need to make my peace with that. And what’s important is that we’re making progress while also enjoying ourselves. Sorry I’m so late to the party, but life has been happening recently. I know that in some people’s eyes, paying for a maid service every other week is a fail. But I tell everyone that this is the BEST MONEY I HAVE EVER SPENT. My husband and I both have painful joint and back problems. I also have dialysis which wipes me out. The peace of mind and the order this service brings to my life and my home is invaluable. But remember that this is what real frugality is all about. You have to balance the quality of your day to day life with being thrifty enough to stay in the black. I will drive economy cars, forego expensive vacations, fancy clothes, and salon haircuts, but you’re not taking away my maid service or my whole bean coffee (bought on sale with a coupon, of course). Yeah, seeing Tim in so much pain and having experienced some mid-range back pain a few months ago, I totally understanding wanting/needing a maid service. It sounds like it’s money well spent. I hope the life that was recently happening is settling back down to normal. I don’t think of you as a frugal failure. You’re more in tune with and more realistic about life than some blogs I read. I’m beside myself sometimes with other blogs. Being “frugal” is like an extreme addiction for some. If they spend more money than they think they should, it will haunt them and give them nightmares. It’s nice to read someone that wants to be frugal but with a real-world twist. That’s the thrust of this entire blog. Well, that and kvetching about health issues. But I wanted a blog that tells you it’s okay to be imperfect — or at least tells you how to best cope with it. You’re right that for some people it becomes an addiction. Tim has forced me to accept that I won’t be happy living entirely in the future. That I need to enjoy myself at least somewhat in the present. I agree with Hannah about not comparing yourself to “frugal masters” I determine what is best for me and what I can deal with. For me trying to go Frugal, cold turkey would be an epic fail. My frugal failure is pizza. If I have it up, I’d be miserable which would be bad for everyone! Yeah, well if you do the math (because it provides multiple meals) pizza isn’t as bad as most people think. Deals can mean that you’re paying $2-3 or so for each meal. Not as great as cooking (depending on ingredients) but better than most convenience food! We all have different goals for saving money, but most of us want a better life period. My experience has been that trying to save at the expense of too many things I also value tends to set me up for failure. Financial responsibility is all about recognizing that the choices you make are choices, knowing and accepting the ramifications of your choices and living within the constraints of those choices. .
Yep, Tim agrees and pushes me to live in both the present and the future. And I push him to do the same, ie savings. You’re right that frugal burnout is a bad thing, too. This is a pace we can sustain. There are so many breed specific rescue groups out there – I bet you could find a pup this way instead of a breeder. I can help research if you want! There are also some large rescue groups that have pet taxi’s that can help chip in to deliver a pup to you! It gets exhausting sometimes when it comes to being frugal. How do you like your water service? I buy gallons of water each week that I use for my soda stream (I use it to make sparkling water), coffee and my pet’s water (don’t ask). I’ve thought about looking into the cost each month to see if I would save money versus buying at the grocery store. I may take you up on the offer to help find a puppy when the time comes. As for saving with a water service, it’s unlikely. Of course, it depends on gallon prices wherever you are. Here we can get 2/$2 at Walgreens or $0.87 if we’re organized enough to buy at the grocery store. So we could be saving a LOT. But it’s just not in the cards for us. I don’t think you are frugal failures. Everyone’s frugal thresholds are different. You have cut the waste that you can in a sustainable way for the long haul where you don’t feel like you are living a deprived life. You made some trade-offs for health reasons and convenience. Time and health are just as important as finances and maybe even more becasue you can’t buy health or time once they are gone. Date night is money well spent when done with a budget in mind. You seem to be frugal successes to me. Spending with purpose and having a financial plan for tomorrow. Yeah, hence the “kind of” in the title. But yes, when I feel disheartened by our spending, I just need to remind myself that we’re making progress while not living entirely for the future. Eating out. I have a deep-seated aversion to spending money eating out but that’s the area of compromise when we’re too dog-tired to cook and well, still have to eat! Better that than biting each others’ heads off because of hunger snarls. We’ve had some truly spectacular fail years spending on eating out and since then we’ve made huge progress getting to more cooking of better foods, saving time, and eating out when appropriate. I wouldn’t say we’re buying marital harmony so much as greasing the wheels. Wait, what? You’re spending less than you make, you’re building up an Emergency Fund, and you’re saving for other goals. I fail to see the failure here! You’re doing great! I feel like a failure when we eat out or get take-out because it’s late and there’s no dinner ready. I’m forever scrambling to keep stuff in the house and organized so I can get to it, but sometimes the system breaks down. But we’re not really doing it all that often. So far this month, we’ve gone out twice and gotten take-out twice. One of those was a deliberate choice to go out as a family and not a system failure, and one was a night where everyone was going in different directions and no one would have been home to eat dinner. So I think that overall, we’re doing better and better on that score. I’d say that’s a pretty good ratio. And yes, we’re making progress. It’s just that when I review our various expenses I tend to feel sad about how much is going out the door on things like convenience food. But then I just (try to) remind myself that we’re doing the best we can. Which is kind of the main point of this blog. Ha- I am a TOTAL frugal failure! I went through a phase where I even unplugged the tv when it wasn’t in use to save in the power bill! But now, my plan is to save a set amount each month, and then I have discretionary spending for the rest of the month. Much less budget fatigue that way! Avoiding budget fatigue can save more money over the long-term. We definitely don’t unplug things we’re not using. I like that you’re set to save a specific amount each month. Maybe once we hit a couple of goals we’ll look into that. For now though, my mind says savesavesavesavesavesave. If there is one thing I’m not going to do, it’s judge someone for their personal choices. Your water is my hair cut. Your yard service is my expensive grocery budget. We all have our things! Yep, you’re right. I’m lucky to use a beauty school, which lets me indulge my vanity and get my hair colored. If I had to use regular prices, I wouldn’t be able to justify it. That’s due to our other expenses though. I’m glad you have a hairdresser you like. Soooo important. I definitely feel like a frugal failure when I think about our cable bill. But but but….I like cable! Haha we may have to ditch it eventually, but we (kind of) split it with our current renter, which is our excuse to keep it. I have done some DIY projects, mainly small ones (besides our ridiculous retaining wall I took on this Summer), but overall I think it’s best to outsource some of the work. At one point I was ready to do our bathroom renovation myself. No longer! We will be paying a contractor at some point to do the work. I agree that it’s best to outsource repairs. It’s great if you can figure it out by yourself, but if it’s an issue of health (or if you could earn more during the repair than the repair costs) you gotta be realistic. I think some lifestyle inflation is natural. Other wise, I’d still be living with two roommates and eating ramen noodles. I think those of us who read lots of PF blogs do feel like failures if we aren’t saving every penny and always making the choices those we regard as frugal make. Like some of the other comments, I agree that you have made conscious choices based on things that add value to your life and that’s what money is for. I guess our biggest frugal fails are travel and things like skiing and golf. We have expensive hobbies, so I will work harder to save in other areas to afford those, even if lots of other frugal people think they are a waste of money. Ha, good point. I don’t think most of us would live in rooms in a house if we can help us. Travel, especially frugal hacked travel, is definitely not a fail. And I’m all about having hobbies — as long as they’re budgeted for. Well, the $100 is because it’s a business line. It’s only the second one from the basic, I believe. Now that Marc and Nadine have their own connection, I think I’m going to go back to the original plan. But I can’t do spotty connections or slow speeds. I don’t freelance articles for a living. I deal with customer emails, frequently having to access their accounts and make adjustments. That’s also why I need a business line. I need a static IP or I keep getting kicked out of the system. Our previous Internet was cheaper, but that company doesn’t service this area of the city. In fact, only Cox cable does, I believe. Hence the painfully high bill. I love this. I’m a big fan of saying “frugal” looks different from person to person. My frugal may not be someone else’s, but at the end of the day, we’re doing what works best for us. I’m not a fan of couponing, either, or wasting too much of my time (DIY repairs) to save money. Life is still meant to be enjoyed! You know, I’m great at saying that frugal choices are personal… as long as it’s about someone else. If it’s about me, I feel like we’re trying to rationalize. Meh. *Professional massage. I *finally* found a really good massage therapist. I’ve only had two massages, but I’m really hooked. She loves her job and it comes through in her touch. And she’s dedicated to working with locals, so her prices aren’t the same as the tourist spas. *Horsey stuff? I haven’t yet found a stable where I can work with a trainer and lease a horse, but I’m feeling the lack. I’m going to be pouring over my real expenses to see how much I can afford to do and then plan accordingly. Horse time is a mental health thing for me. Premium channels can be pretty nice. It seemed to us like nothing’s ever on because we would check throughout the day. Which is why we were fine just switching to Hulu. I hope you find a way to afford some horse time! I really think getting a puppy is a bad idea unless you’re absolutely sure that Tim has the energy to take care of it (and train it). It seems odd to me to put time in doing that and not using what little energy he has on other necessary house chores/errands. I hope you don’t take this the wrong way but if I’m the one earning, I would not go along with my spouse’s desire to get a purebred dog. That’s really an unnecessary expense. Oh, and if my husband was the main worker, I would not ask him to get me a pure bred dog either. We spent thousands on our dogs toward the end of their lives. If you’re still trying to have kids, I would wait on the dog. How about temporarily caring for dogs waiting for adoption? It might be the best thing for Tim! He may find strength he never knew he had to take care of something so loving as a pup!! No, I can’t ask him to give up a dog once he finally gets one. That would be worse than not getting one in the first place. Inre: puppiness, yep that’s absolutely a worry. I told him that he needs time to get in better shape so that I’m convinced he CAN deal with a puppy. He’s good at training, and we have tile floors, so accidents aren’t as big of a deal. But I’m worried about his ability to reliably take the thing out for a walk. As a puppy, not as big of a deal. As an adult though… He’s about to go back to aquatic therapy in the next week or two. (He had a hairline fracture in his hand, and a number of the exercises include moving your hands underwater.) So we’ll see how his constitution does with that and, perhaps, some cortisone shots. I understand your perspective about the purebred issue, I guess. But Tim’s already very depressed just being on disability. He’s working on it. That said, the last thing I should do is hold the fact that I’m working over his head. I’m not sure that’d be healthy for any couple, really. But in our case, doing so could spiral him down into dark places. Yep, saving where you can to spend where you want is the best frugal motto, I think. The cable/Internet sounds painful… until you realize that a lot of people pay at least $100 just for cable. So it’s high, but not abnormal. And ouch on the cell phone bill! Makes me so glad we don’t need those suckers. My frugal fail is Papa Johns, it’s gotten to the point that I just put in my budget. Every two weeks I order a pizza. I do without things other people take for granted. We hang out our laundry, the t.v. is off two weeks out of every month to cut down on electricity bill. We sleep in jogging clothes to keep the heat down. 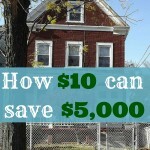 We are saving 1000.00 a month towards putting on a new roof. Buttered noodles for dinner, we cut everything we can or do without. Pizza isn’t that big of a frugal failure to me, not after working full time cleaning office buildings. My hubby works full time also. There are just days that we feel we need some reason to get up the next day. Hey, if you budgeted for it, it doesn’t seem like a big deal. Actually, 2 pizza a month doesn’t seem remotely close to a big deal. I remember trying to sleep in the cool. My parents would turn the thermostat as low as it would go, which was in the 50s, I think. And it wasn’t that much higher during the day. Maybe 60-65? There was plenty of retained warmth, but the beds were coooooold. I wore flannel PJs and ducked my head under the covers, breathing out, trying to warm the thing up faster. So you can imagine how hard it is for me to keep the thermostat around 74 here. But Tim’s joints can’t handle much colder. And I frequently see coupons for Papa John’s, so that makes it even more cost-effective. Don’t eat pizza myself, but I save the coupons for a relative who does. Donna Freedman recently posted…Why you need a stroke file. As for luxuries… I think any quality time spent with your spouse, even if it costs money can and should be considered a necessity rather than a luxury. This is your teammate, your partner in life and this is such an important relationship and it is important to nurture that. When the Mister and I were saving for a house, we cut back a LOT on luxuries but we still made a point to have a special date night once a week or take a long weekend to the mountains. I think those times helped our relationship when things got stressful/tense with the whole house hunting thing. We realized that we could do without a lot of things during that time (and still do!) but special time together was and still is non-negotiable. Date nights are good for the relationship, I agree. As for the allergy issue, that’s just something Tim’s going to have to get over. It’s what happens when he gets a new pet. He’s extra itchy, but over time he gets used to it. Once Tim’s joints are in better shape or cortisone shots have been had, we’ll take a look at our dog options. I would looooove to get a shelter dog, but we’ll see what’s available once we start looking. Always remember: we do the best we can with what we have. There are a few non-frugal things that are a standard part of my budget, like getting the lawn mowed. I *hate* mowing the lawn. And, by the end of it, I’m a wheezy mess. So, just not worth the hassle. Labs need plenty of exercise so you might want to factor that into your planning, too. If health is an issue for you both, it’s worth having a backup plan for ‘Fido’s’ daily walk. Yeah, I repeat “We’re doing the best we can” a lot to myself. But I appreciate the support from you guys. Labs definitely need a lot of attention and walks, so we’ll see how Tim does in the aquatic therapy (it seemed to be helping before we left for vacation). Once we have an idea of how that’ll do, he’ll consider cortisone shots. Once we see what he’s like with that, we’ll make sure he can handle a high-energy dog. I always thought I’d get a greyhound rescue because apparently they’re pretty low-key. Granted, I’d keep feeding the thing because they look so thin. I’d have the only at greyhound in existence. 3 and a half years into our journey out of debt, we’ve gone back to hiring house cleaners once every two weeks. There. I’ve said it. This is my first online confession. See! I’m calling it a “confession”. I DO feel like it’s a frugal fail – even though we thought it through and it’s right on more than one level. 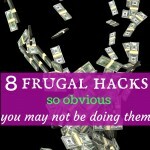 I like the fact that you point out your “regular” frugal moves that you sometimes forget really are frugal. Mine are different from yours, and they include bulk, inexpensive home cooking. Each one of us has to decide how and where to cut back, and each one of us has to decide which expenditures are worthwhile. There are no cookie-cutter answers. Maybe “frugal fails” are just evidence of individuality. “Maybe ‘fugal fails’ are just diencephalic of individuality.” Ha, I like that! And yes, we all have to determine what’s important enough to make room in the budget for. And/or what our limits force us to compromise on. It’s just hard to feel frugal when you don’t cook. And I’m glad you “came out” about cleaning here. Makes me feel special! 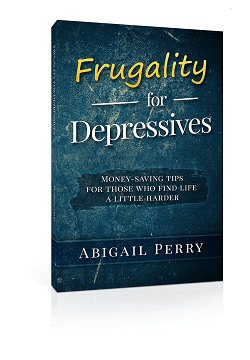 I wouldn’t beat yourself up over what you perceive as “Frugal Fails” – we all have places we economize in order to spend more someplace else. There are times when we eat out more than you would expect a “cheapskate” to eat out, but just works best for our schedules. So I save someplace else. I would also encourage you to adopt, rather than buy a pet through a breeder. My parents were set on buying another small pure-bread dog, but I spent a year stalking petfinder until I found them a wonderful little mutt that they absolutely adore. He only cost $250 – had all of his shots and meds up to date, was microchipped, and neutered and he’s under one year old. He also came house-trained! Had they gone through a breeder, they mostly like would have paid close to $1000 for the dog PLUS had to pay to neuter, etc. The dog Tim wants is out there… it just may take a bit of time to find him. But being patient pays off! And you get to help an animal! Well, we have some time to look, and then we may take some readers’ offers of help up. I’d definitely love to get a shelter pup.